When we read to William we get mixed results, everything from a lot of interest to no interest at all. 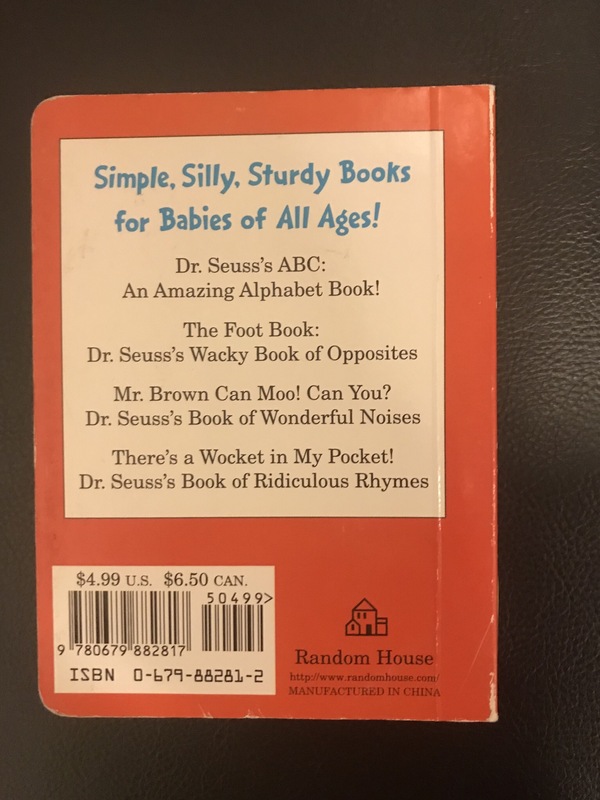 This is one of two books that I tried to read to him one night when he was fussing, the other being Ten Apples Up on Top. As with that book, due to his reaction, I had to reread it to properly review it here. This was a book that had quite the reaction at the same parts from Matt and I both. As with Ten Apples On Top, this book did not have any information about the actual book on the back cover. It did instead list a few books in the series, including itself. The book starts off with some great, fun illustrations and words that begin with the letter of the page. 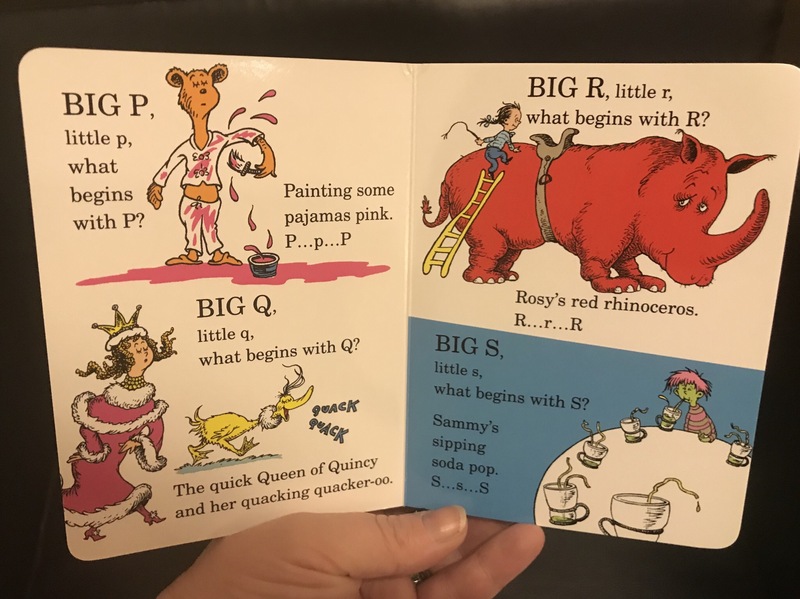 The whole alphabet in order is addressed. 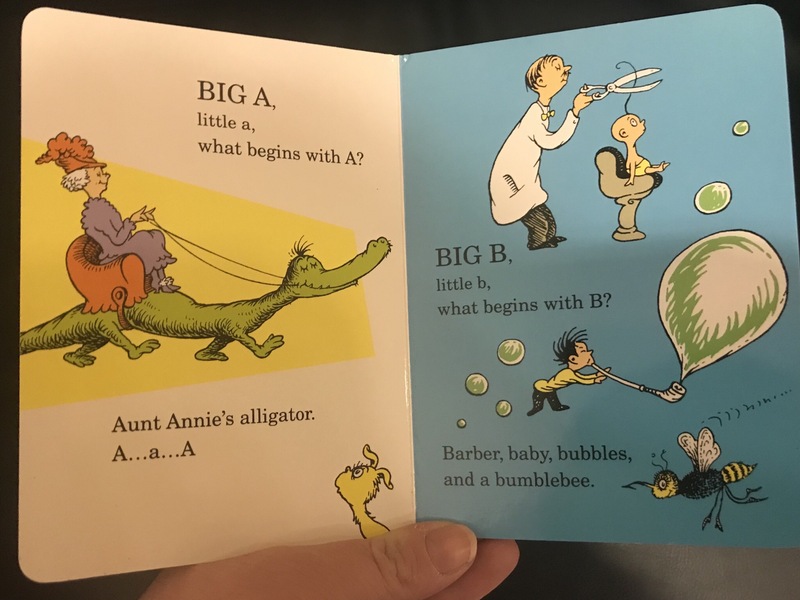 Though they talk about big (capitalized) and little (not) versions of the letters, the majority of the words used seem to be small ones (to the point where you can go many pages without one proper name requriing capitalizing), which is somewhat confusing, though many kids would not pick up on it. 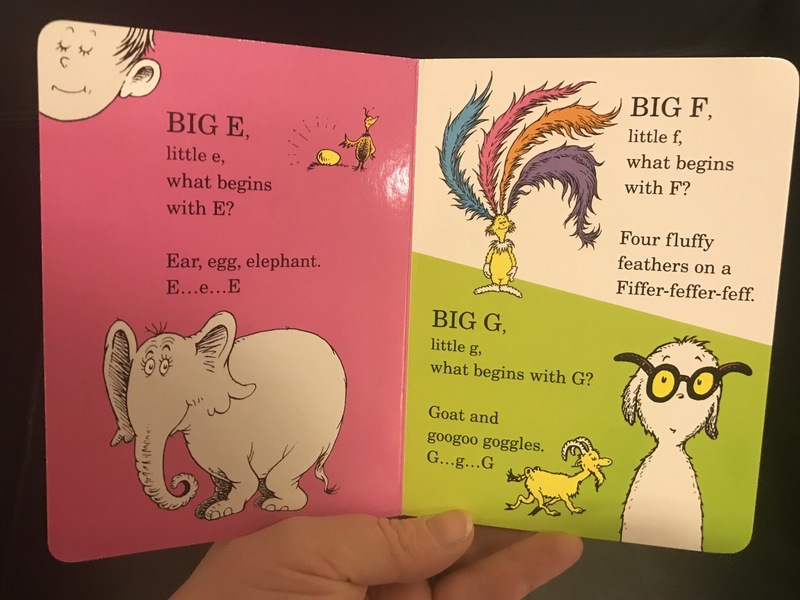 Even though Dr. Seuss books are known to have a little to a lot of silliness in them, neither Matt nor I were fully prepared for the page on F which starts with normal words and goes to Fiffer-feffer-feff. After I read that aloud he actually asked me what I could possibly be reading to William. 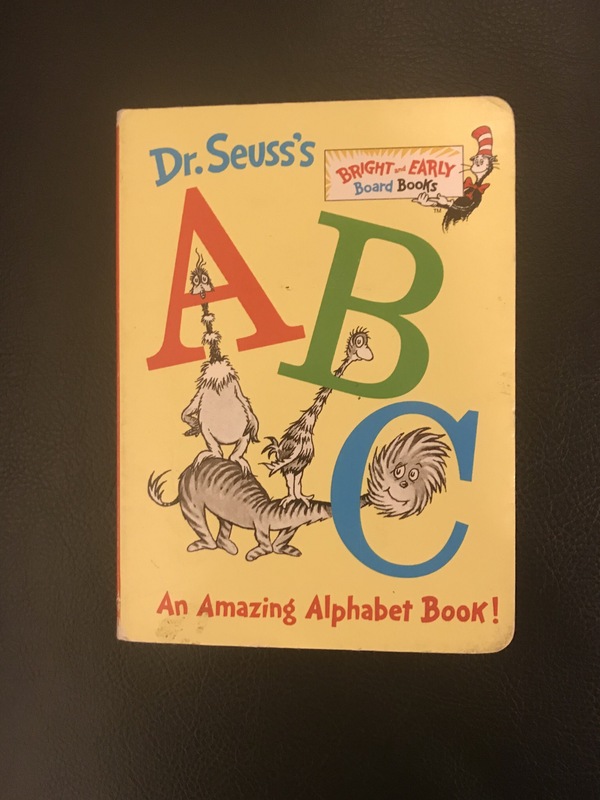 I wasn’t then and I’m not even now clear on what that is supposed to mean, it’s most likely Seussian nonsense words. Nonsense words can work in a book, but it feels a bit out of place when done surrounded by so many more serious pages. Some letters inexplicably get their own pages, while others have to share. Still, the illustrations are great whether big or small. The actual reading of the book drags out, even though I love to read, I almost gave up halfway through, though that may be in part as William was still fussing and not interested. The last page wraps up with Z getting its own letter and more nonsense words. 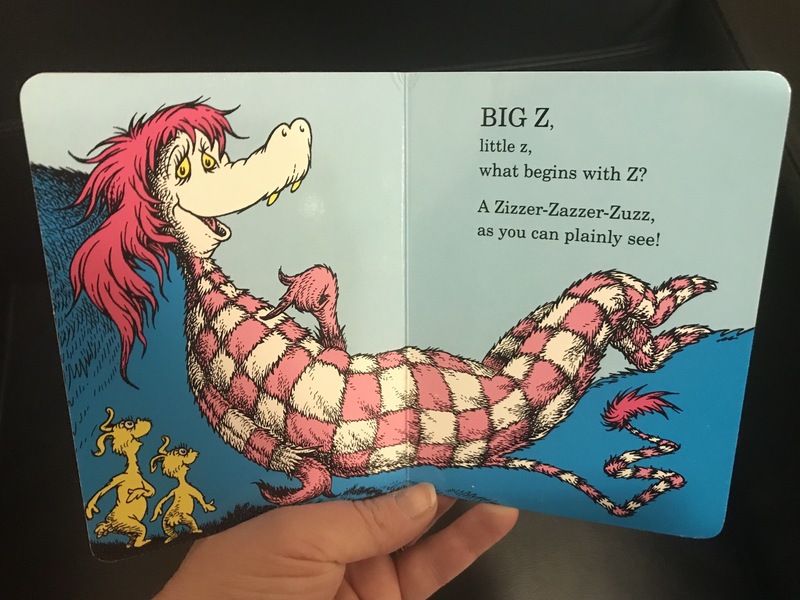 I was a little disappointed they didn’t even use one real z word of which there are many which could have worked including zoo, zest, zoom, zig zag, zero, etc. I realize of course that adults and kids do not see books in the same way and that kids would most likely not even notice some of the points I raised. Still, it will be a while before William reads on his own, and with quite the collection of books, I’d be more likely to pick up ones I liked reading more than others.